St. Valentine's Day CROSSWORD - A Simple crossword for young learners to practise Valentine's vocabulary. 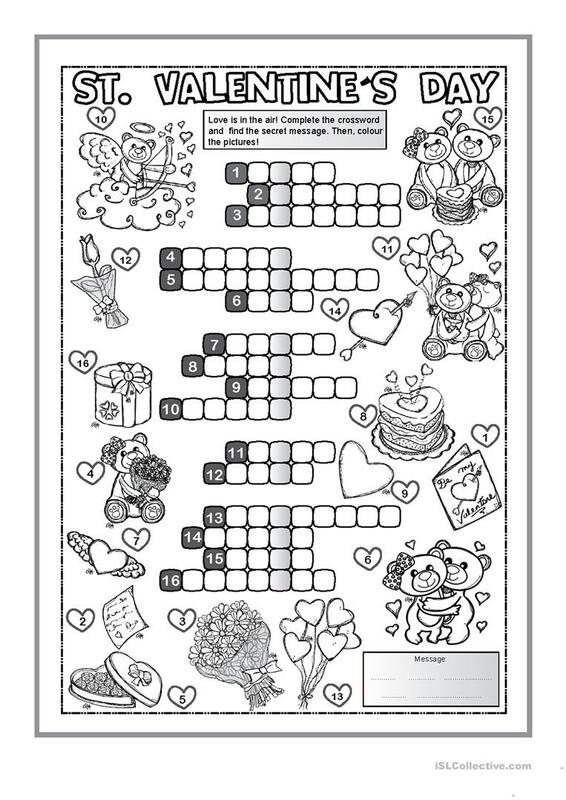 B&W version is included so children can colour the pictures. Love is in the air! Hope you enjoy it! Cha. 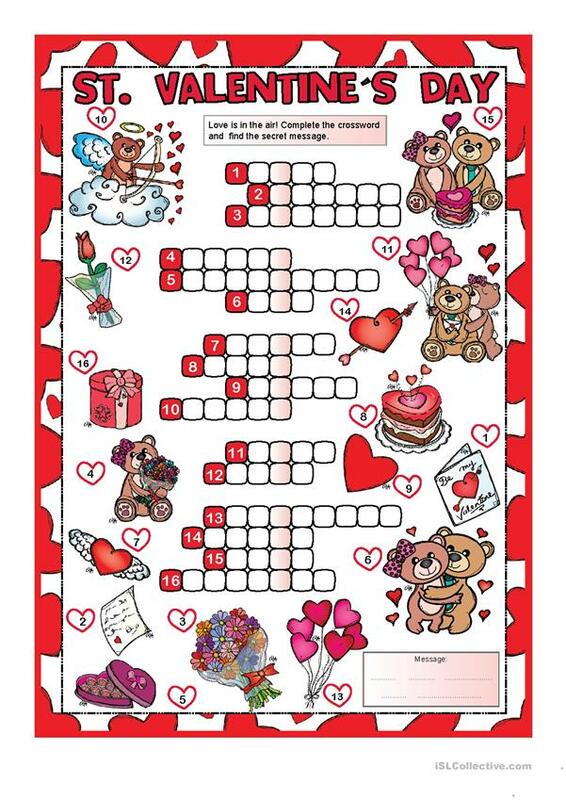 The above downloadable printable is recommended for high school students and elementary school students at Beginner (pre-A1), Elementary (A1) and Pre-intermediate (A2) level. It is focused on the theme of Valentine's Day. It includes the solutions, too.